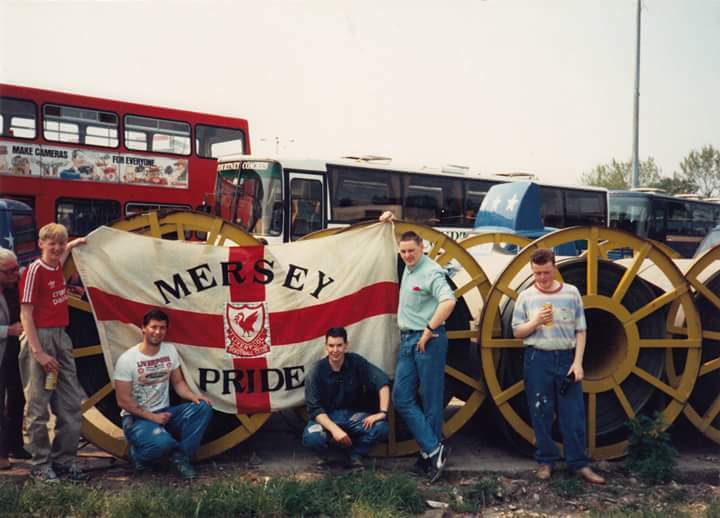 Taken in the coach park at Wembley before the 1988 FA Cup Final v Wimbledon. My bedroom - 1984/5. Proudly showing off with all my Liverpool stuff. I kept that Crown Paints shirt for 'best' wore the unsponsored one for playing footy in!! Me Ma sewed the No.9 on the back for Rushy, and I had a red No.5 for the yellow away top but she never got round to doing that one. "Another I found from the FA Cup Final 1988"
"My Birthday. I was maybe 13." "That's Me. Norwich away maybe 86 or 87"
"Norwich away. My mate Kevin . He got Brylcreem inside my sun hat." "The Kemlyn road stand in the 80's on a match day"